Thomas WEST 3rd Baron de la Warr (1577 – 1618) (Wikipedia) was the Englishman after whom the bay, the river, and, consequently, an American Indian people and U.S. state, all later called “Delaware“, were named. He was Alex’s 11th Great Grandfather; one of 4,096 in this generation of the Miller line. 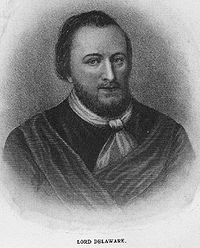 Thomas West was born 9 Jul 1577 in Wherwell Hampshire, England. His parents were Thomas WEST , 2nd Baron De La Warr, of Wherwell Abbey in Hampshire, and, Anne KNOLLYS. daughter of Sir Francis Knollys and Catherine Carey. He married Cicely SHIRLEY 25 Nov 1602 in St. Dunstan’s. 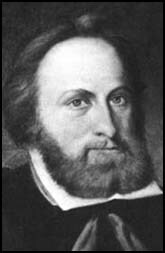 Thomas died 7 Jun 1618 enroute to Virginia on the Neptune offshore Nova Scotia. In 2006, research had concluded that his body was brought to Jamestown for burial. A grave site thought by researchers to contain the remains of Captain Bartholomew Gosnold may instead contain those of Baron De La Warr. 1651 in Rowley, Mass. Jan 1684 in Ipswich, Essex, Mass. Thomas West received his education at Queen’s College, Oxford where he did not complete his course, but subsequently (1605) received the degree of M.A. In 1597 he was elected member of parliament for Lymington, and subsequently fought in Holland and in Ireland under the Robert Devereux 2nd Earl of Essex, being knighted for bravery in battle in 1599. He was imprisoned for complicity in Essex’s revolt (1600-1601), but was soon released and exonerated. In 1602 he succeeded to his father’s title and estates and became a privy councillor. Becoming interested in schemes for the colonization of America, he was chosen a member of the council of the Virginia Company in 1609, and in the same year was appointed governor and captain-general of Virginia for life. Even with the arrival of the two small ships from Bermuda under Captain Christopher Newport, the colonists were faced with abandoning Jamestown and returning to England. On June 7, 1610, both groups of survivors (from Jamestown and Bermuda) boarded ships, and they all set sail down the James River toward the Chesapeake Bay and the Atlantic Ocean. On June 9, 1610, Lord De La Warr and his party arrived on the James River shortly after the Deliverance and Patience had abandoned Jamestown. Intercepting them about 10 miles downstream from Jamestown near Mulberry Island, the new governor forced the remaining 90 settlers to return, thwarting their plans to abandon the colony. Deliverance and Patience turned back, and all the settlers were landed again at Jamestown. As a veteran of English campaigns against the Irish, De La Warr employed “Irish tactics” against the Indians: troops raided villages, burned houses, torched cornfields, and stole provisions; these tactics, identical to those practiced by the Powhatan themselves, proved effective. He had been given instructions by The London Virginia Company to kidnap Native American children. These instructions also sanctioned attacking Iniocasoockes, the cultural leaders of the local Powhatans. The campaign ended the Powhatan siege and resulted in the marriage of Pocahontas and John Rolfe which introduced a short period of truce between the English and the Powhatan Confederacy. Although the truce was a short one, it allowed the English to fully secure the colony’s fortifications and housing, expand its farming, develop a network of alliances with other Indian nations, and establish a series of outlying smaller settlements. Lord De La Warr’s rule was strict but just; he constructed two forts near the mouth of the James river, rebuilt Jamestown, and in general brought order out of chaos. West became so ill that in March 1611 he sailed home to England. He published a book at the request of the company’s council , about the conditions of affairs in Virgina: The Relation of the Right Honourable the Lord De-La-Warre, of the Colonie, Planted in Virginia (reprinted 1859 and 1868). He remained in England, though still the nominal governor, until 1618, when the news of the tyrannical rule of the deputy, Samuel Argall, led him to start again for Virginia. 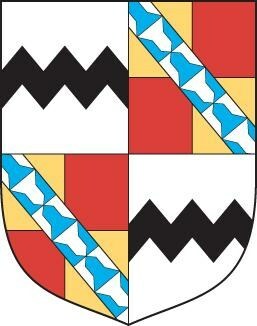 Our ancestor, Twyford West was born in 1616. He embarked in April, but died en route on the 7th of June 1618, and it was thought for many years that he had been buried in the Azores or at sea. In 2006, research concluded that his body was brought to Jamestown for burial. A grave site thought by researchers to contain the remains of Captain Bartholomew Gosnold may instead contain those of Baron De La Warr. Because of his health, West did not spend much time in Virginia, but he was the single largest investor and his extended family was quite prominent in the colonization of North America. His uncles were the privateers who had sailed in the Roanoke voyages, Captain Francis and Henry Knollys. His Aunt Leticce Knollys was the mother of the Earl of Essex, and wife of the Earl of Leicester. His brothers John West and Francis West both became Virginia Governors. Francis West settled Westover, which was on the upper James River in Virginia. Berkeley Plantation was sandwiched between Westover and Shirley’s plantation, all established between 1613 and 1619. His sister was married to the Pelhams whose children were instrumental in the colonization of New England. Henry’s wife Isabella Edmunds was born Nov 1607 in Brussels, Belgium. Her parents were Sir. Thomas Edmunds and [__?__]. Isabella died 24 Dec 1677 in Southampton, England. Sir Henry died on 1 June 1628 at age 24. He succeeded to the title of 4th Baron Delaware [E., 1570] on 7 June 1618.2 He gained the rank of Captain in 1624 in the service of the Earl of Oxford’s Regiment of Foot. Anne’s husband Christopher Swale was born 1605 in Swineshead, Lincolnshire, England. Christopher died 5 Sep 1645 in Southampton, England. Cecily’s first husband Sir Francis Bindloss (Bindlose) was born 9 Apr 1603 in Borwick, Lancashire, England. His parents were Sir Robert Bindlosse. and [__?__]. Sir Francis died 26 Jul 1629 in Borwick, Lancashire, England. Cecily’s second husband Sir John Byron was born 1600 in Dutton, Cheshire, England. His parents were Sir John Byron and Anne Molyneux. After Cecily died, he married 1644 in Dutton, Cheshire, England to Hon. Eleanor Needham, daughter of Robert Needham, 2nd Viscount Kilmorey and Eleanor Dutton. (b. 1629 in Dutton, Cheshire, England – d. 26 Jan 1664 in Chester, Cheshire, England). Sir John died 23 Aug 1652 in Paris, France without issue. John Byronwas created 1st Baron Byron of Rochdale, co. Lancaster [England] on 24 October 1643, with a special remainder to each of his brothers . He matriculated at Trinity College, Cambridge University, Cambridge, Cambridgeshire, England, in 1615 and graduated in 1618 with a Master of Arts (M.A.). He was Member of Parliament (M.P.) for Nottingham from 1624 to 1625. He was Member of Parliament (M.P.) for Nottingham in 1626. He was invested as a Knight, Order of the Bath (K.B.) 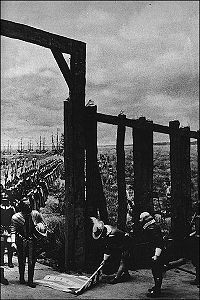 in February 1625/26. He was Member of Parliament (M.P.) for Nottinghamshire from 1628 to 1629. He held the office of High Sheriff of Nottinghamshire from 1634 to 1635. He held the office of Gentleman of the Bedchamber. He held the office of Lieutenant of the Tower of London in 1641. He fought in the Battle of Edgehill in 1642, where he commanded the Royalist reserve. He was awarded the honorary degree of Doctor of Civil Laws (D.C.L.) by Oxford Terrace, Paddington, London, England, on 1 Nov 1642. He gained the rank of Field Marshal in the service of the Royalist forces of Cheshire, Shropshire, Worcestershire and North Wales. He was Governor to James, Duke of York between 1646 and 1652, later King James II. He held the office of Governor of Chester before February 1645/46, until its capture by Parliamentarian forces. In June 1646 he capitulated to the Parliamentarians as the Royalist commander of Carnarvon Castle.. He held the office of Governor of Liverpool. He gained the rank of Colonel in the service of the Royalist infantry forces. He fought in the English Civil War. John’s wife Mary Taft was born in 1615 in England. Mary died 2 Apr 1675 in Beverly, Essex, Mass. This entry was posted in 13th Generation, Artistic Representation, College Graduate, Immigrant - England, Immigrant Coat of Arms, Line - Miller, Place Names, Public Office, Storied, Veteran, Wikipedia Famous and tagged Delaware, Governor and Captain-General of Virginia for life, Jamestown, Privy Councillor, the Englishman after whom the bay - the river - an American Indian people and U.S. state - all later called "Delaware" were named, The Neptune 1618. Bookmark the permalink. Any chance Anthony West b 1605 was a son of Thomas and Cecily? It turns out Twyford West paid for his passage by binding himself for seven years as a servant to Nicholas Snow and then John Cooper, not a likely course of action for a son of a Baron. Anthony West born 1605 was of royal descent as was Gov. John West. Anthony West was the first cousin of Gov. John West and he used the West seals on his property. His line of the fmaily had the Lord DelaWarre title through the 9th Lord DelaWarre. His 2nd great grandfather was the 9th Lord DelaWarre who died and the title was given to his nephew, causing a short abbeyance of the title. It is important to note that Lord DelaWarre Thomas West was only the 3rd Lord DelaWarre of that line. The prestige of weath and honor did not leave the line that Anothony descends from. His child would become a Brithish military officer (only given to Royals in the 18th century) and he would marry Matilda Scarborough, whose Father Col. Edmund was the King’s surveyor who drew the border between Maryland,Delaware and Virginia (Delmarva). A commoner would not be allow to marry Matilda. The line from Anthony goes all the way back through the Lords DelaWarre to the DeMowbray, and the DeClares to Rollo the Viking King of Normandy. A glorious past for the West family. Couldn’t Anthony have done this as well? Thank you so much for your help. Do you think there is any chance we can prove that Anthony West was the cousin of Gov. John West which would prove the name of Anthony West’s grandfather? Poor Anthony had to come from somewhere – I just need to know. Any help is greatly appreciated. Sharon—- I am with you on this one. Anthony is one of my great grandfathers, and while I’ve collected details about his life, I have found nothing definitive about his relationship to the Barons DeLaWarr. I do know that a later relative of his claimed kinship with them, but that’s not enough for me. I would love to hear something from an authoritative source…..until then, he has to remain, for me, just a regular guy. I believe you may be looking for MY West family. NOT related to Baron de la Warr. Maybe we should try a DNA test to find out about Anthony West. Hello~~well, on the “de la War/Warre info….I ama direct WICKWIRE descendant. The name WICKWIRE comes from “the Manor of Wick to John de la Warre”…. Anybody know anything about this? If my WICKWIRE is from “de la Warre”, well that makes my line a whole new ball game. Oh- this info I read from this soucre: “New England Families Genealogical & Memorial” by Wm. cutter, Vol IV, NY, Lewis Pub Co, 1913. I am trying to confirm the parentage of Martha West, wife of William Woodward (son of Catherine Audley and Christopher Woodward.) One source has Thomas West 3 and Cecily Shirley listed. Another source has Thomas’s brother John West listed as Martha’s father. Do you have documentation to verify who Martha’s parents were?